Go Get Some Great Fantasy Books! 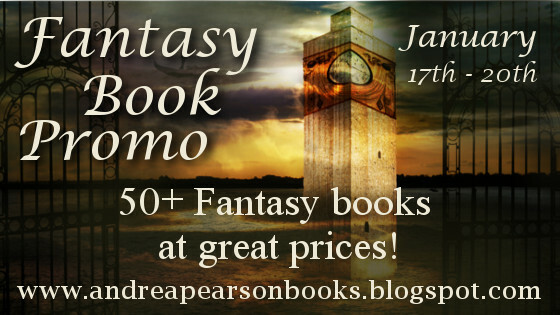 Only until the 20th, you can get more than 50 Fantasy novels significantly reduced. Not just my novel, Running From the Immortals, but so many really awesome stories! Andrea Pearson has put together a terrific promotion that benefits all of you. Seriously, I’m going to be buying several of these books. She not only collected some awesome stories and great authors, she got ratings so that you know what you’re dealing with. I put in Running From the Immortals, the first in my Blood of the Artificer Mages trilogy. That was the story that first moved me from fanfic into writing my own stories, way back in 2012. It’s got a saga. Seriously, it was such a mess. I wrote the story originally for NaNoWriMo and posted it online. There were issues with it, including a point of view that started 2/3 through the book when I realized I needed to see from someone else’s eyes. A startup publisher (who I won’t name so don’t ask) solicited me to submit it and they accepted it. But I don’t think they ever wanted to publish it because three years later we still weren’t done with editing. I did a full edit within 6 months, added 60K to the story. But they just couldn’t seem to get the final edts to me. Folks, I had to get a lawyer to get out of that contract. Once I did, I looked at the mess I had left from 3 years of aimless edits with two separate editors with totally different styles and said, nope. I still like the story. I just need to fix what they messed up. So I did an intense rewrite. I put the second point of view all the way through, took it from 160K single novel into a trilogy and man, it’s so much stronger for it. Every single chapter got redrafted and reworked with three years worth of experience. Running From the Immortals isn’t the first, chronologically speaking, story of the Mages of Tindiere verse but it is a great entry point to reading in that world. I hope that you’ll go check my book out but more than that I hope you go check out all these awesome books. Go share the love, guys and have a great weekend! PreviousBlog Post TestNextGiveaway: Streams of the Final Shores!